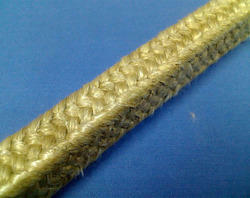 We are a leading Exporter of mica coated ceramic cloth and mica coated ceramic braided rope from Ahmedabad, India. Improve the abrasion resistance and stiffness. 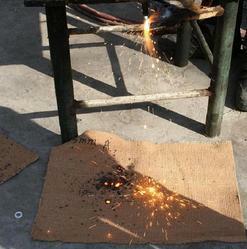 It's tough, durable and resist metal splash and welding spatter. Used at 1500°F / 815°C continuous. Capable of withstanding temperatures of 2000°F / 1093°C for short periods. Looking for MICA Coated Ceramic Cloth ?